Gearbox Software’s Borderlands series has taken gamers into its space-Western, sci-fantasy looter-shooter aesthetic in a number of adventures over the last 10 years. 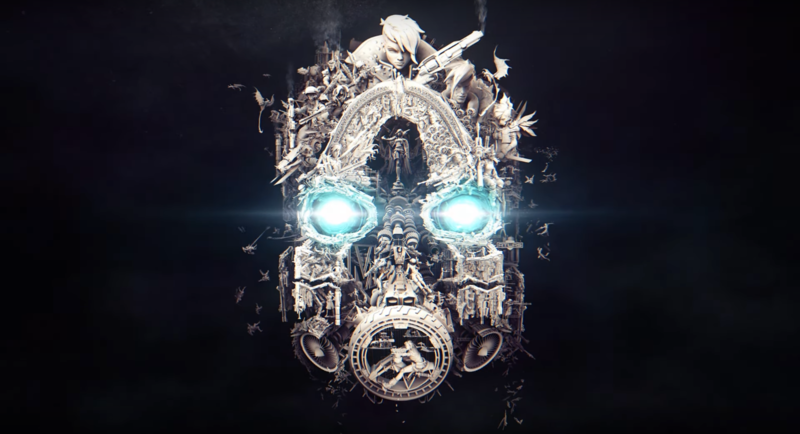 Now, with the developer aiming to make a big splash at PAX East (starting tomorrow/Thursday afternoon), they’ve released a teaser trailer for what many hope will be Borderlands 3, but which is currently teased as Borderlands: Mask of Mayhem. Mayhem is coming! Tune in tomorrow at 11am PDT / 2pm EDT at Borderlands.com for Gearbox’s PAX East livestream. Did you see it? Thanks to Smitty in the comments section, you can see a blinking light in the top left corner of the teaser. It just so happens to be blinking out a message in Morse Code, a message that reads, “Count the Sirens.” In Borderlands lore, Sirens are women with awesome powers, a mysterious background, and distinguishing tattoos; only six Sirens are known to exist at any given time. Previously revealed Sirens were Lilith, Maya, Angel, and Commandant Steele (before her untimely demise); could more be hidden away within this teaser? Or is the presence of three Sirens here be a nod to the arrival of a proper third full installment of Borderlands? Your guess is as good as ours, but we’ll all find out more together tomorrow when the Borderlands presentation begins in earnest. Announced nearly five years ago, the new Borderlands title–which could be anything from a full campaign to a battle royale standalone to a mobile game–follows up on 2009’s original hit. Borderlands 2 (a pre-sequel) in 2014 and Telltale Games graphic adventure game spin-off Tales from the Borderlands arrived in the interim, but fans are ready for another fully fledged Borderlands adventure. Fingers crossed it’s a good one.